Mary Rose Moreland and Simon Blake are the perfect couple: successful young professionals in Philadelphia, attractive, madly in love, and ready to start a life together. When they travel to England for Simon to ask her parents’ permission to marry Mary Rose, he learns an unsettling secret: Mary Rose disappeared when she was a little girl while the family was vacationing on a remote Scottish island. She reappeared mysteriously thirty-three days later in the exact same spot without a scratch on her and no memory of what had happened. After Simon hears about this disturbing episode in Mary Rose’s childhood, he becomes obsessed with finding out what happened. He proceeds to launch his own investigation and arranges during their honeymoon for them to visit the island where she disappeared. But as Mary Rose’s behavior gets stranger after their engagement, the need for Simon to unlock the truth about her past grows even more urgent. What he uncovers is beyond his most terrifying fears. 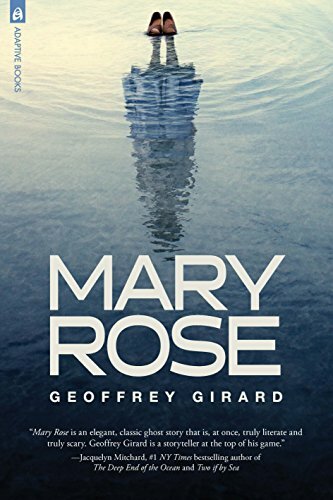 Mary Rose is author Geoffrey Girard’s chilling and modern take on a classic ghost story originally written by J. M. Barrie. And for years, master of suspense Alfred Hitchcock attempted to adapt Mary Rose into a film but was never successful. With this novel, Girard taps into the nightmarish fears that inspired both Barrie and Hitchcock, while also bringing the story to the present day with his own unique voice.